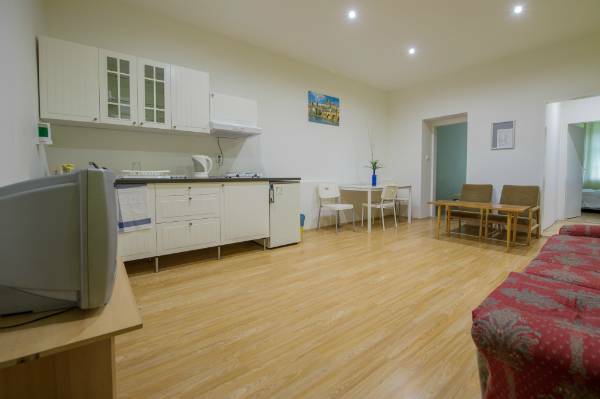 Our facility is newly opened , With newly refurbished apartments and furniture. 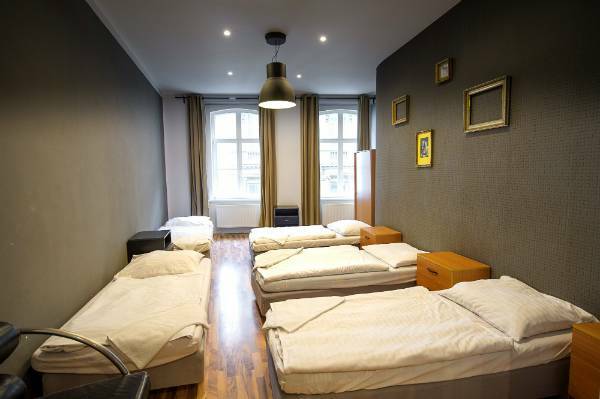 You have just picked a place to stay that has one of the best (if not the very best) locations to stay in Prague. 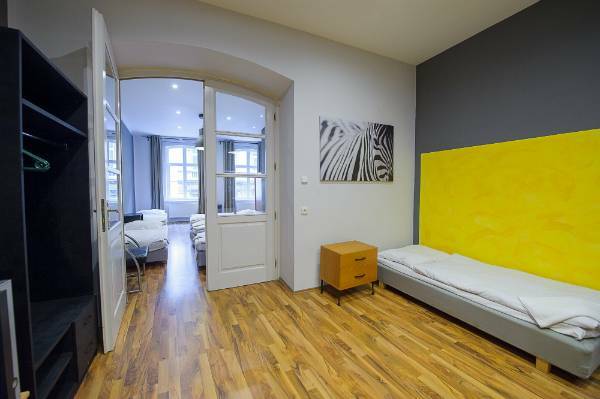 We are located on one of Prague's best night time streets, Just a few steps off Wenceslas Square. Wenceslas Square is considered as Prague's hot spot. You will not need any transport while you are with us. Our building is a 19 th century renaissance one, with newly refurbished apartments and rooms. 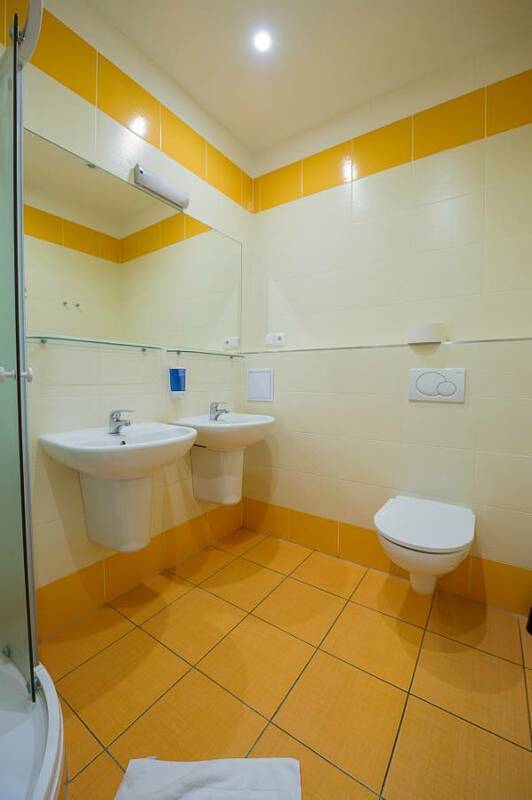 Your room will have Space, Comfort, Privacy, Cleanliness and a rather homely atmosphere. 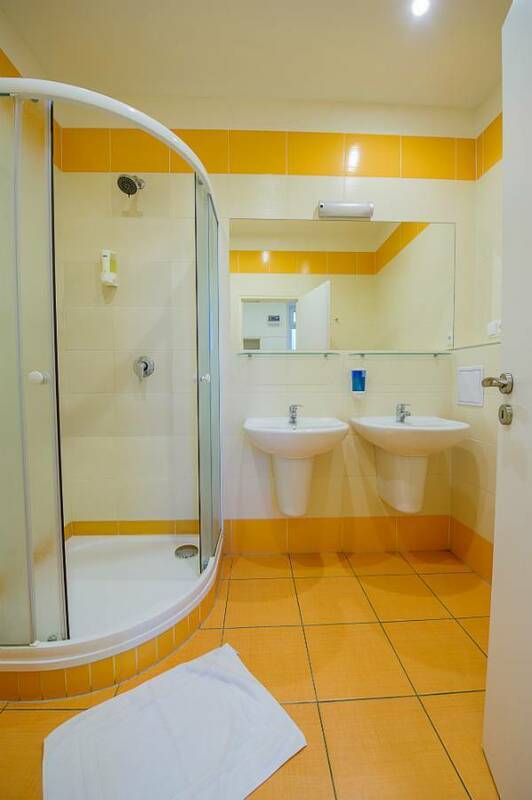 Fully furnished apartments with your own kitchen and bathroom. 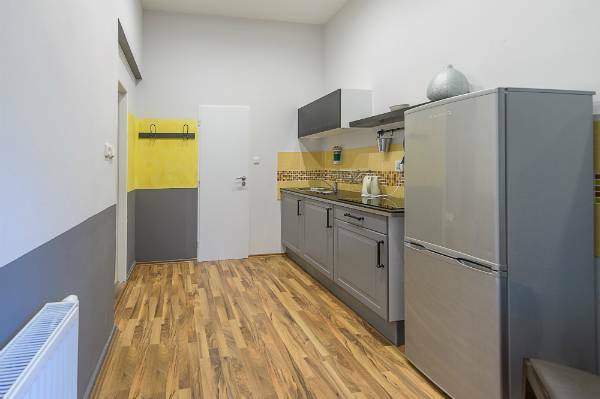 All apartments have a TV, Fridge, Kettle, Stove, cutlery etc. Free bed linen, free towels, Free 24 hour hot water. No curfew you have your own key to come and go as you wish. Perfect for ALL types of groups. We also organize airport pickups for our guests. Guarded parking for cars and buses is available upon request, so please send us an email and we will arrange it for you. Absolutely central, easy to access ALL sights, the National Museum is a couple of steps away, Pragues main centre square (Wenceslas square) is just at the end of our street. Loads of night life, bars and restaurants around. If a reservation is not canceled at least 3 days prior to arrival there is a charge for the whole stay. FROM THE AIRPORT: 1) Take bus number 119 towards Metro (underground station) Dejvicka. 2) Take the metro in the direction of Skalka, get off at Muzeum station line A (green) or line C (red) 3) With your back to the National Museum walk down and turn left. There is a KFC restaurant on the corner, walk up until you reach Krakovska 3. It’s just a 3 minute walk, approximately 250m. FROM MAIN TRAIN STATION HLAVNI NADRAZI: 1) Follow signs to Metro. Travel on line C (red) in the direction of Haje and get off at Muzeum 2) With your back to the National Museum walk down and turn left. There is a KFC restaurant on the corner, walk up until you reach Krakovska 1) OR you can just walk from Main Train Station through Opletalova street across Wenceslas square into Krakovska street until you reach our apartments, its a 10 minute walk. FROM THE BUS STATION FLORENC: 1) Please take red line “metro C” at “Florenc” to direction of “Haje”. 2) Step out from the metro at “Muzeum” 3) Start going down so the National Museum and the Saint Vaclav on the horse will be at your back. 4) After a very short walk down please take a look to the left as you will see KFC fast food 5) Turn left at the KFC and walk up the street until you reach Krakovska 3. You are there. It's about a 2 minute walk from the metro station “Muzeum”.